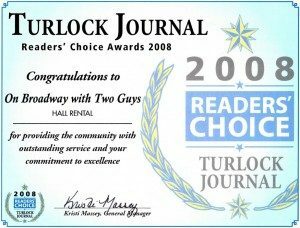 Two Guys Catering in Turlock has provided the very best in catering and event planning services for private and corporate clients in the greater Stanislaus County area for almost 14 years. Edmond and Stephen have a combined catering experience of over fifty years and strive to pass along their knowledge to their staff. 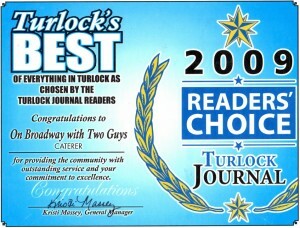 Each and every employee at Two Guys Catering is dedicated to excellence in the products served and the services provided. 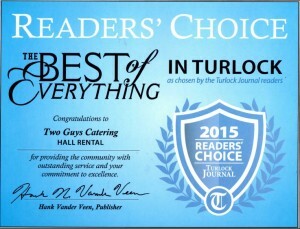 Two Guys Catering uses only the freshest and highest quality ingredients to provide to most exquisite food to our clients. 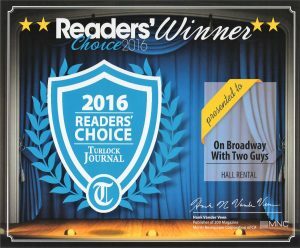 Two Guys Catering is committed to making each event unique and the best our clients and their guests have ever attended. Contact Us Today to Learn More about making your event unforgettable!